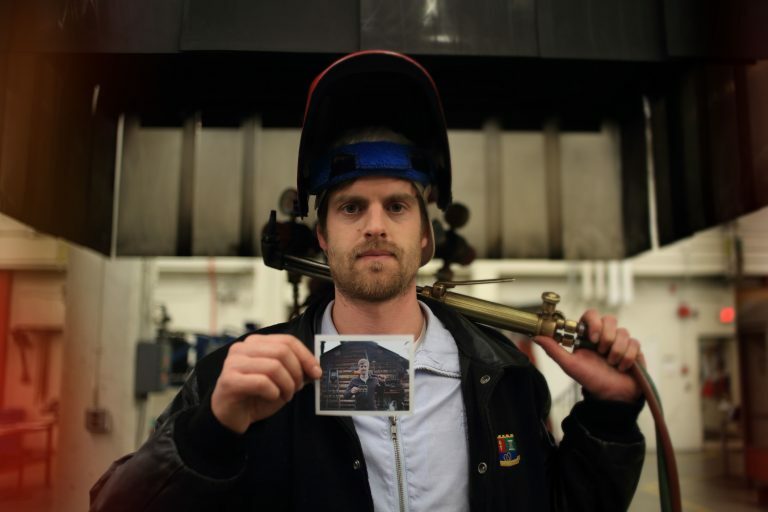 Lliam Hildebrand is a boilermaker and oilsands worker that helped found Iron and Earth to call on training in renewable energy for out of work oil workers. 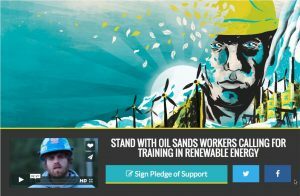 It was many conversations like this that inspired Hildebrand to join forces with other like-minded oilsands workers to start Iron and Earth, a campaign calling for training and retraining in renewable energy. 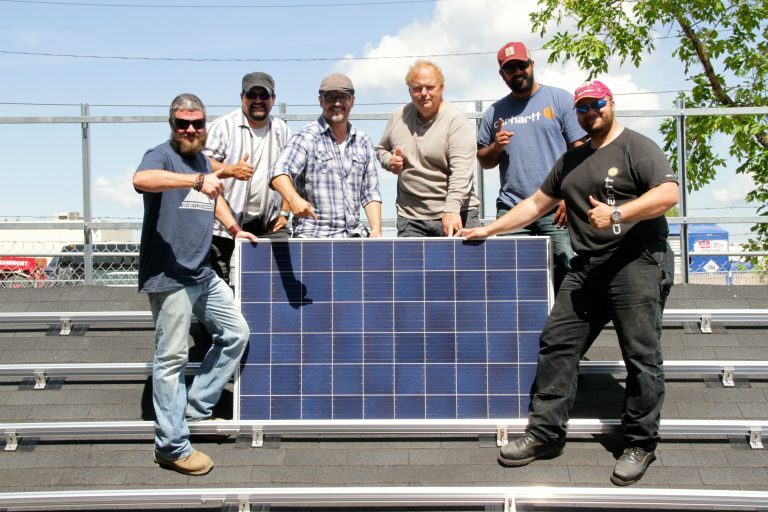 Iron and Earth has attracted 4,000 supporters and 450 workers interested in renewable energy training since launching. Hildebrand says that diversification is already built into how various trades operate. “Our priority goes to out-of-work electricians. So imagine you’re an out-of-work electrician, and if you sign up to this program, we start our first project this fall. So show up on-site, do a couple days of class time learning about the entrepreneurial opportunities in the solar PV world and industry. And then you go on to the roof and install the system,” says Hildebrand. The training program they envision will run for four weeks, with other solar skills training following the solar PV module. Iron and Earth has partnered with Randal Benson of Grid Works Energy who already runs training programs. “He’s already retrained approximately a thousand electricians with solar PV skills,” says Hildebrand. Iron and Earth already has a list of 450 workers interested in training programs and this has certainly helped Hildebrand get audiences with politicians like the federal environment minister. Iron and Earth Boilermakers Joseph Bacsu, and Lliam Hinderbrand with electrician Adam Cormier at the press conference announcing Iron and Earth an organization that is lobbying for training for unemployed oil workers. A second initiative of Iron and Earth is to start a Newfoundland chapter. “One of our directors is from Newfoundland and when he arrived home there were a ton of people contacting him, just really overwhelming amount of support from workers in the province,” says Hildebrand. Adam Cormier organized a meeting in Newfoundland and, within 48 hours, had 35 workers signed up. 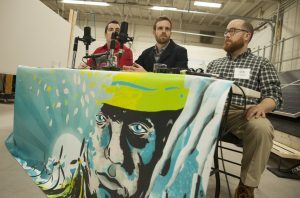 Soon after the International Brotherhood of Electrical Workers pledged $5,000 for the effort. “We’re also running a worker’s climate plan campaign … that will be focused on engaging workers around the federal climate consultation,” says Hildebrand. What about renewable energy and jobs? “From the numbers we’ve been looking at, it seems that solar industry employs approximately 10 times the number of workers in comparison to wind energy. Now, wind energy is also a cheaper source of energy and is going to make up the majority of the larger renewable procurement in Alberta and in Saskatchewan, but it’s going to be really important that we make sure that we’re also exploring these other renewable energy technology types such as solar, geothermal, biomass and biofuels,” says Hildebrand. In the U.S., solar jobs grew by 20.2 per cent in 2015 with the industry employing 208,859 workers as of November 2015. 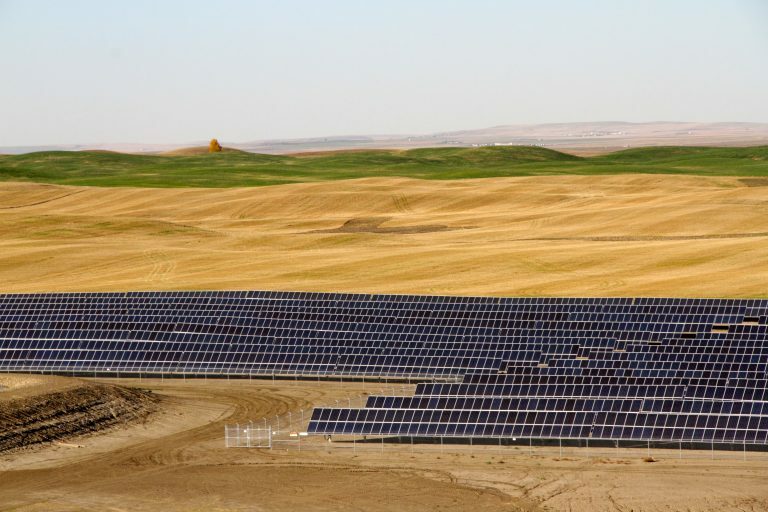 No one has run the numbers for the ambitious pledges made by Alberta and Saskatchewan, but building somewhere between five and 10 gigawatts of renewable energy will most certainly produce jobs here. With the tragic fires in Fort McMurray, it’s been a difficult few weeks for Hildebrand’s colleagues in the oilsands. “It’s pretty rough. I actually received a call from one of my friends who was almost in tears when that was all going down. She wasn’t sure if her husband was going to actually escape in time, and it’s crazy. There’s a lot of families like hers, whose houses didn’t escape those fires. And considering the amount of economic downturn that’s happening in that community right now, it’s just unreal,” says Hildebrand. For Hildebrand it’s not solar versus oilsands, but he sees this as a pivotal point in history where new opportunities can be created for all energy workers.